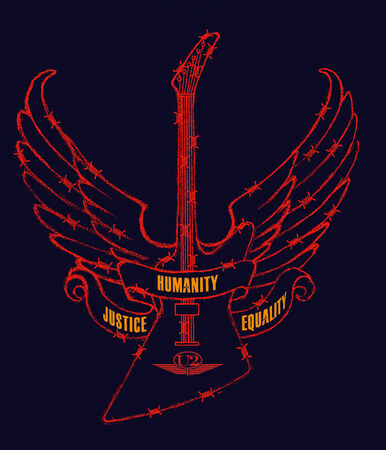 The limited-edition shirt raising funds to campaign for human rights. Video. 'Everything you do is directed by the songs.' Bono talks to Charlie Rose. Bono joined Mary J. Blige on stage in New York for the annual fundraising gala of the Robin Hood Foundation.